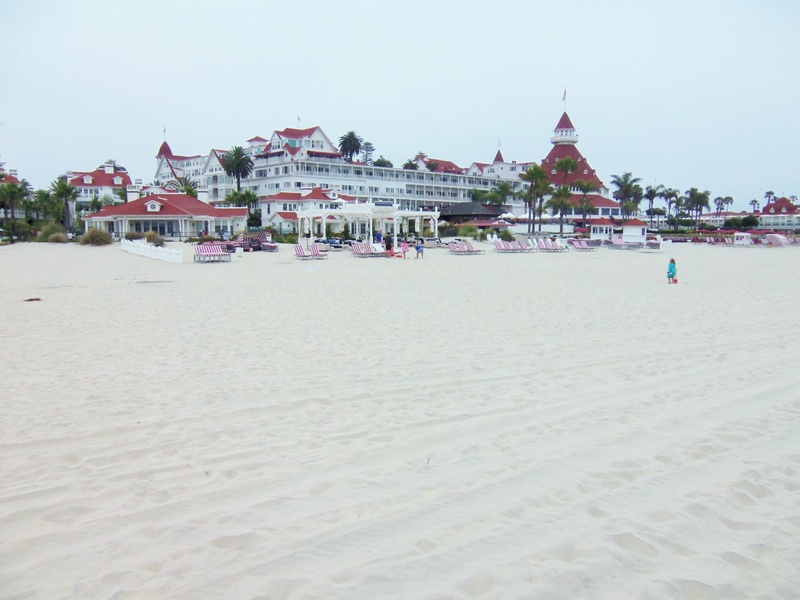 How could I be in San Diego and not see the Hotel Del Coronado? 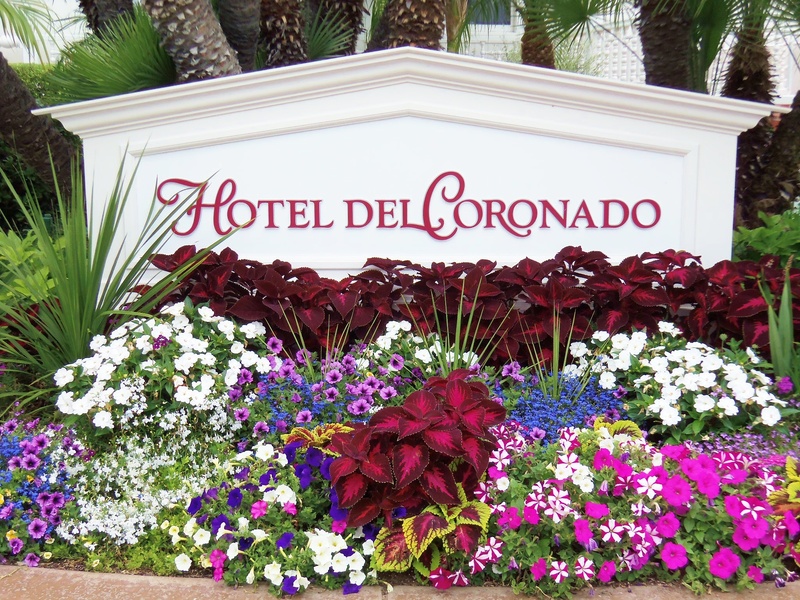 We had about 2 hours before we needed to leave for the airport, so I took a quick cab ride from downtown to the island of Coronado. Just to see the famous hotel. 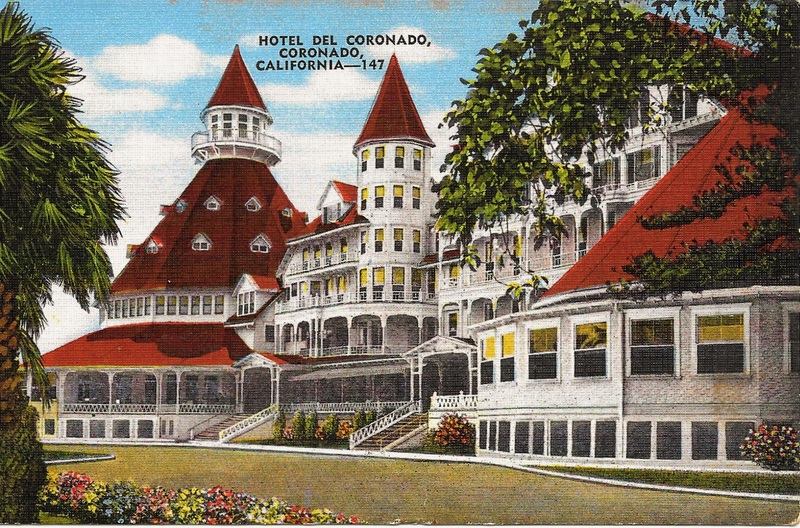 At the time it was constructed in 1888, the Hotel Del Coronado was the largest resort hotel in the world. Today it is the second largest wood structure in the United States. Barely escaping the wrecking ball on several occasions, in 1970 she was declared a California Historical Landmark. She’s changed a little since this 1930’s postcard was made, but I still tried my best to recreate the shot….. 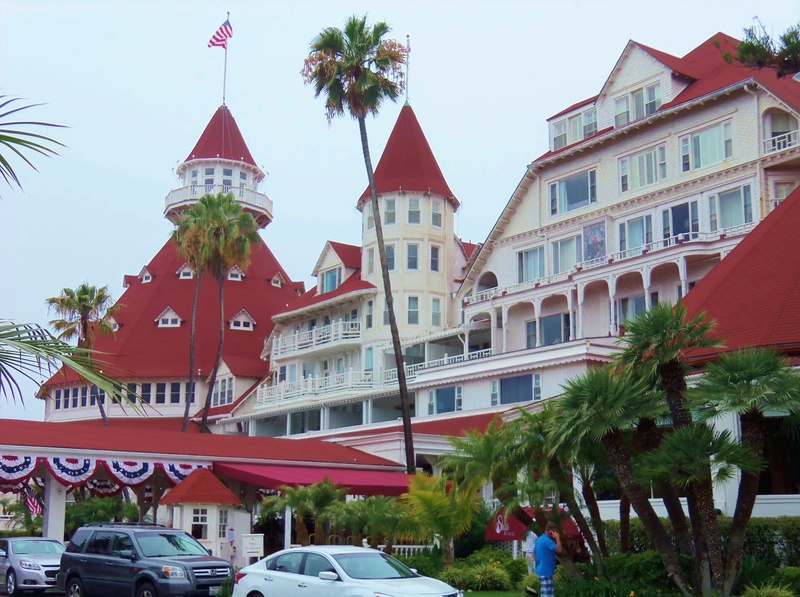 If you aren’t familiar with the Hotel Del Coronado, it’s the primary setting for the Billy-Wilder-directed Marilyn Monroe movie, Some Like it Hot. Sure Marilyn was a nightmare to work with; she resented playing yet another dumb blond – wouldn’t show up on set for days – and had trouble remembering her lines. Especially the line, “Where’s that bottle”……which took her 65 tries, and I’m still not sure she got it right because her back is to the camera. Tony Curtis compared kissing her to kissing his mother, and the producers intentionally forgot to invite their biggest star to the cast part. But none of that matters. Some Like it Hot is charming for days and sparkles like no other Marilyn Monroe movie. In fact, if you haven’t seen it….I don’t think we could be friends. 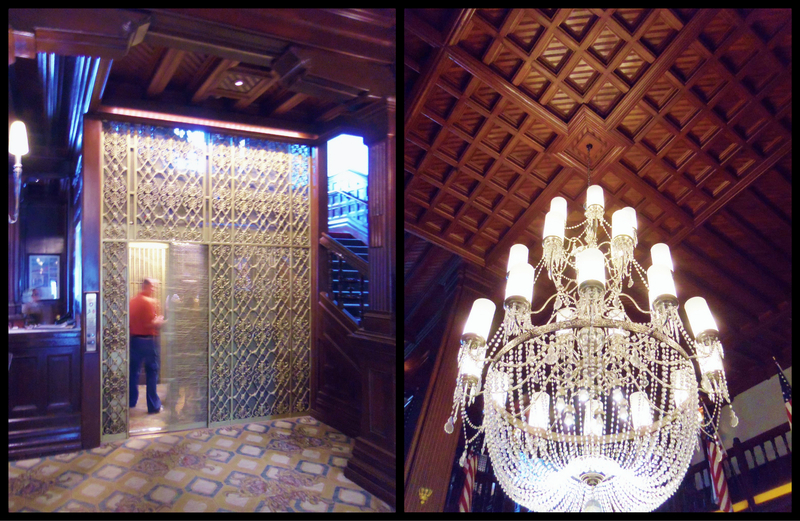 The Del Coronado lobby, with the original elevator and coffered ceiling, still retains all the majesty it did over 100 years ago. I really had no intention of dragging a piece of the hotel home with me…. ……until I saw this in the gift shop. 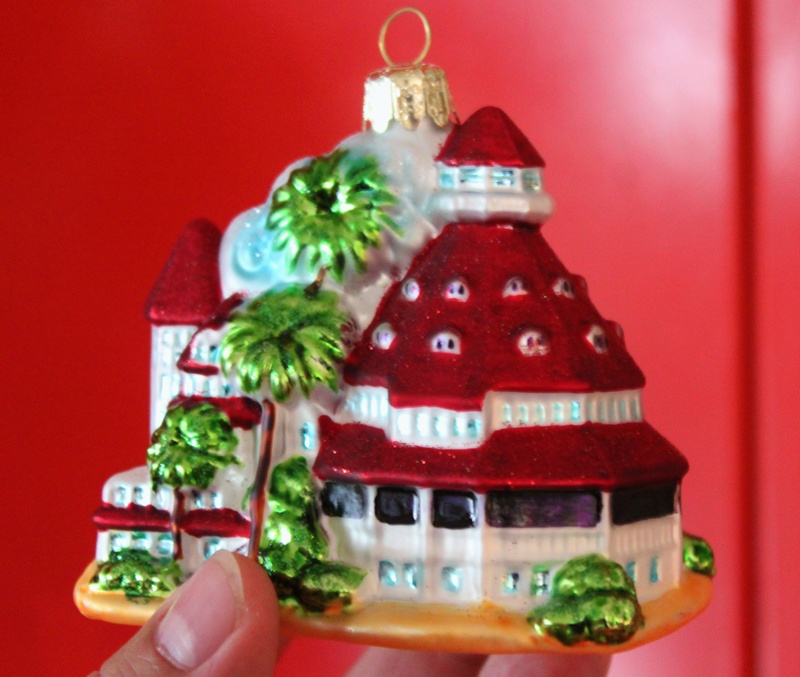 A blown glass Christmas ornament of the hotel. Can you believe it? How could I possibly be expected to resist that? I stifled the sequel, paid the nice lady at the counter, and carefully toted back a fragile little reminder of my short visit to the Island of Coronado…..
HA . . . I was about to de-friend YOU if you failed to mention Some Like It Hot! Great movie with so much quotable dialogue, including the very last line: “Nobody’s perfect!” Look at the lobby photo, with the ginormous floral arrangement. Now look even closer; there’s an adorable older couple who are obviously posing for a photo in front of said arrangement. Awwww! I plan to visit the hotel when I finally get to San Diego. My trip will coincide with the St. Louis Cardinals’ playing the Padres at PetCo Stadium, about which I’ve heard so many good things. I think it’s a hop, skip + a fly ball from the ocean! Simply beautiful! Looking forward to seeing that beautiful ornament on your Christmas tree this year! It’s hard to put all my favorite ornaments in the front of the tree, Kim……. When I think of the movie it’s the image of the millionaires sitting in the hotel’s front porch that first comes to mind and of course that famous line. Love the pictures. The hotel is supposed to be in Florida in the movie. In fact, Disney built a replica in Florida . Yeppp, love those millionaires lined up on the porch….wish the porch was still there. But they enclosed it. 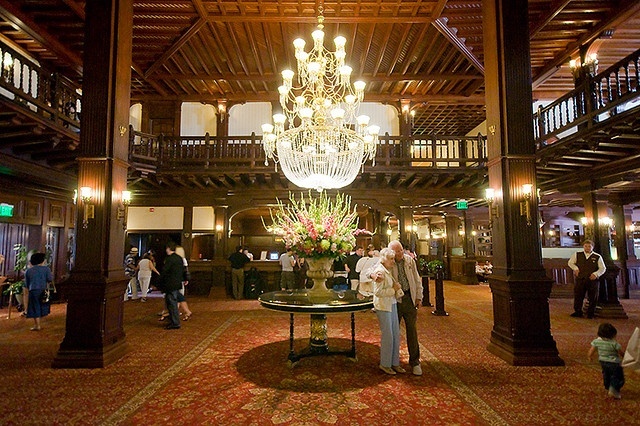 I want to purchase the Hotel Del Coronado The Cavender Diary blown glass ornament. I thought it was for $38.00. I see it, but know where does it let me purchase one. The Signiture Store does not even have it. Hi Kathryn, As I don’t work for the Hotel Del Coronado, I don’t know their inventory. Have you tried their website? https://store.hoteldel.com Or try calling the hotel directly, if they still sell them, they may mail you one. 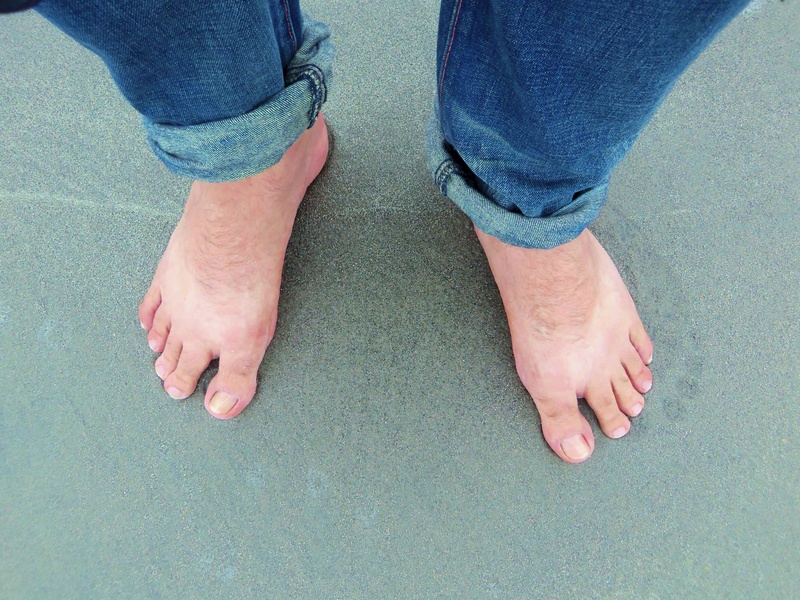 Or, of course you could visit the island…..that’s what I had to do. Good luck.